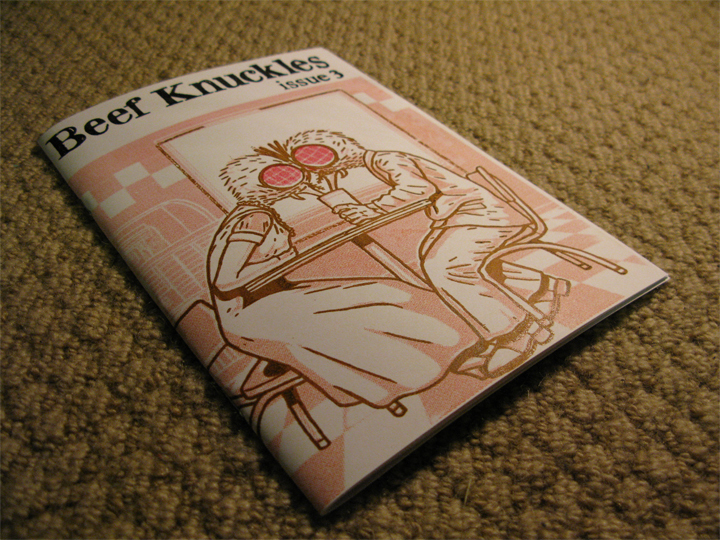 We’ve finished Beef Knuckles #3!!! And we’d really like you guys to read it! 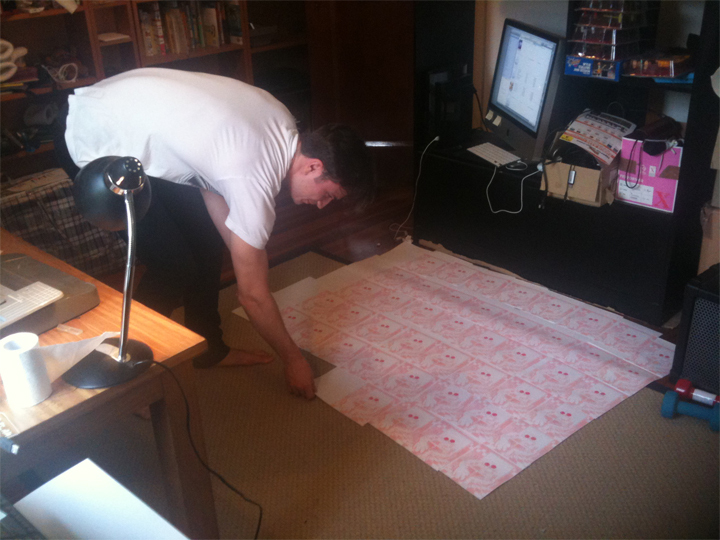 It’s got a hand screen printed cover as well as interviews with Daniel Johnston(! 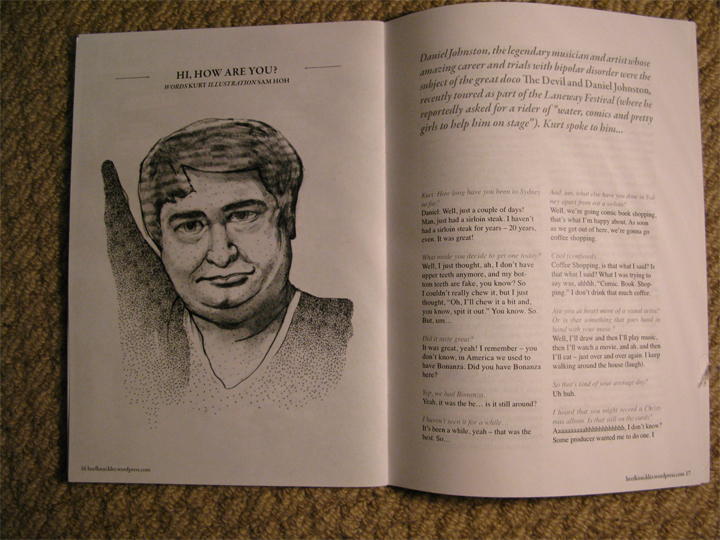 ), comedian Eugene Mirman and the usual words and comics you found in #1 and #2. 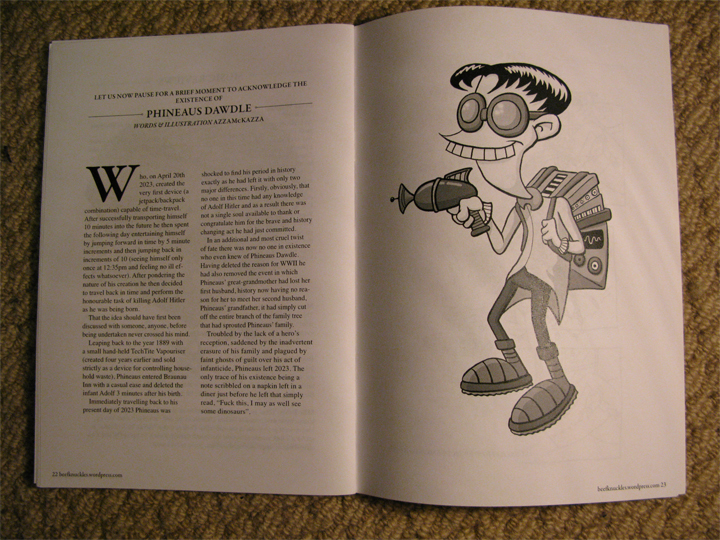 If you’d like a copy, drop us a line – they’re only 4 bucks! We only made 107 (we wanted 110 but fucked up 3 covers). 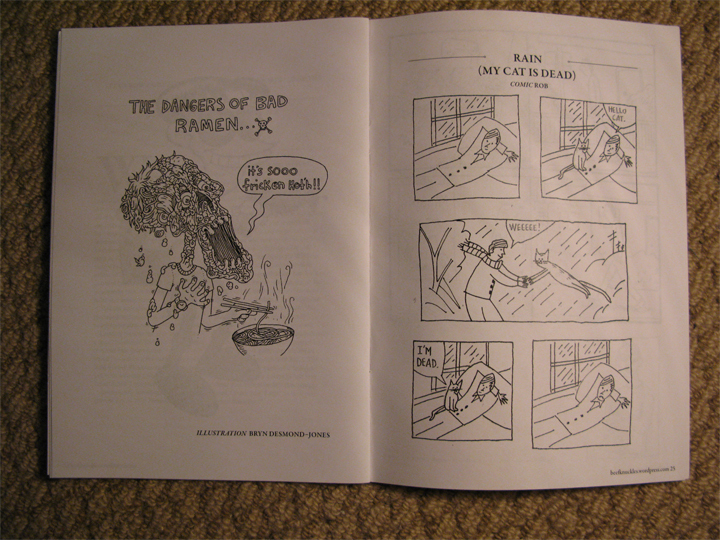 Vanessa Berry has put out a new zine! Vanessa’s been putting out self published stories for years and years now under several titles. I’ve picked up a few with the most recent being I Am Camera #13. Anyway, pick up her latest piece Disposable Camera which you can see above! Find out how to get it here. Hey, did you know Daniel Johnston just finished a brief tour of Australia? Anyway, we were lucky enough to interview him which will be in the next issue of Beef Knuckles (coming out on Feb 14, Chinese New Year)! Because of this I re-watched The Devil And Daniel Johnston, a 2006 documentary dealing with Daniel’s career and struggle with mental illness. It’s pretty moving – not as much as Hearts and Minds but definitely more than Dig.